Height requirements are required for tall reasons. Height restrictions aren’t in place just to annoy young kids. These restrictions are in place to help protect children and those not tall enough to ride or for kids who may be too tall for a particular children’s ride. Not following these rules can result in injury and even death. Trying to bend the rules so that you or a friend can ride puts you at risk of slipping out of a seat belt or restraint that you are too small for or even injuring yourself due to your body not being able to deal with the pressure or speed of a ride. 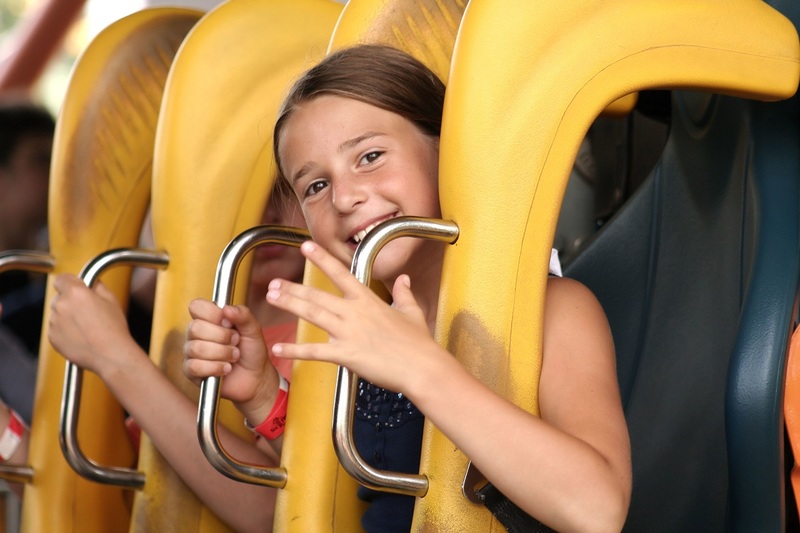 Ride attendants may seem like the bad guy if you have been told you are too small to ride but keep in mind that we have your health and safety as our main priority. Taking eligibility rules for granted can be dangerous for your health. Extreme rides take extreme guts, but they require a healthy condition too. Some thrill rides involve rapid changing forces which may not be applicable to guests with physical and mental disabilities. Expectant mothers and people with epilepsy, heart conditions, broken bones, motion sickness, fear of heights and recent surgery are also restricted. Not following these rules can worsen your situation and, of course, we don’t want that. Each ride at the event displays these rules – usually by a height sign outside each particular ride – so be sure to check them out and participate responsibly. When a ride is not applicable for you, remember that the event still offers a lot of activities for you to enjoy. When the ride operator tells you to hide or secure your camera, slip on shoes, sunglasses, jewellery and bags when on a ride, do so. This is to ensure that they won’t get lost / thrown out by the sudden bursts of movement and / or height from the ride. Eating and drinking on all rides is prohibited too. Spilling drinks everywhere and regurgitating everything you ate may be a little too big of a hassle while others enjoy the fresh view of the event grounds! Remember, it is not just about you. Your safety is of utmost importance for any carnival ride operator. Operators ensure that all guests are protected from harm as they enjoy their day out. When you break the safety rules, you are not only endangering yourself, you are endangering your friends and other people’s safety too. Any dangerous behaviour will result in you being asked to leave the attraction. Please remember there are other people are on the ride with you. While it is true that the ride attendants make sure they are secure, other people’s safety is in your hands too. Contact Joylands today to see how we can transform your next event into a day your guests won’t forget.